Erik stormed out of the general store, letting the door slam behind him. They’d come all the way from Norway to find his stepfather’s brother, but he was never where he should be. It was June of 1908. Twelve-year-old Erik was angry and resentful. He had not wanted to leave his grandfather’s farm in Norway. He had not wanted to leave behind the memory of his dead father. And most particularly he had not wanted his mother to marry Rolf! Their little family had now travelled thousands of miles trying to catch up to Lars and to find a suitable place to start a farm. And here they were, in the middle of the wide-open Canadian prairie in a place called Hanley, Saskatchewan—and still no Lars! Eventually Lars, his wife, and son Olaf are discovered in the nearby town of Green Valley. Erik works hard to help Rolf establish the new homestead and to get through their first Canadian winter. Through a joint interest in saving Tapper, an injured horse, Erik and Olaf learn to get along and to come to terms with the fact that Olaf is the son that Rolf had given up when his first wife died. 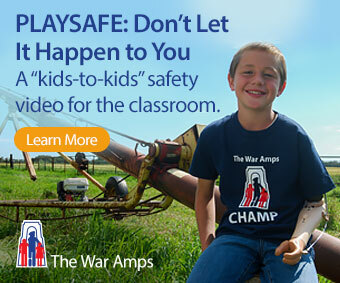 Classroom Connections: This is a work of historical fiction. The town of Outlook, southwest of Hanley on the Saskatchewan River, was the model for Green Valley. The auction of the farmland, the arrival of the train, the swift building of the townsite are all part of Outlook’s history. Building a sod house, digging a well, breaking the sod, ploughing the fields, fishing and snaring rabbits to supplement the diet are all skills that the reader learns about as Erik and his family adjust to their new life. This book would well support the study of pioneer life on the prairies, immigration to Canada, and many other areas of the Social Studies curriculum at multiple grade levels. 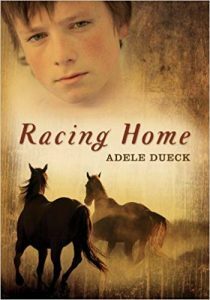 The author, Adele Dueck was a finalist for the Silver Birch Award in Ontario and for Manitoba’s Young Reader’s Choice Award.